Whether you’re looking for a new interest, an activity with like-minded people or a group exercise class, YMCA White House in Hampton offers a range of classes for all ages and levels of fitness. Our adult activities offer something for everyone across the whole community, such as art history, bridge and ballroom dancing. If that’s not your thing, then how about indoor bowls, understanding Shakespeare, table tennis or embroidery? For children, there are classes such as Diddi Dance, karate, indoor tennis and French, as well as the fabulous Tea, Tots and Toys stay and play sessions, and fun children’s parties. Now 22 fitness classes each week! 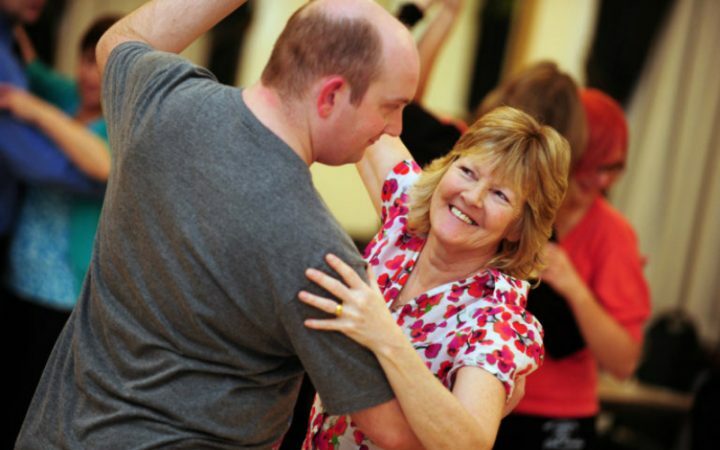 Enjoy a range of classes from Zumba Gold, to Pilates, Body Balance and Adult Karate. We are a welcoming and inclusive centre and update our timetable regularly, so there’s often something new to try. New to the timetable is Legs, Bums and Tums on a Monday, Purna Yoga on a Tuesday evening and Tai Chi Intermediate on Friday mornings. Take a look at our group exercise timetable to find the perfect class for you. You can pay-as-you-go for the fitness classes: prices for a standard session are from £7.00. Or save money by joining our Health & Wellbeing membership, which gives you full access to all group exercise classes. Membership starts from only £34 a month. Members holding monthly memberships at YMCA White House will be able to use all YMCA St Paul’s Group Health & Wellbeing sites across Kingston, Surbiton, Walthamstow and Wimbledon (this does not include Hampton Pool). Perhaps you live in one area and work in another, or perhaps you like using the gym or trying out a new class. It also includes 15% discount on food and drink in the cafe (excluding pre-packaged items). Visit YMCA Hawker, YMCA Wimbledon, YMCA Walthamstow and YMCA Surbiton, to vary your routines and make the most of your membership. New starters will need to complete a starter form before attending their first class – please bear this in mind and turn up early if this is your first time (this also applies to members from our other centres). YMCA White House classes are run as a social enterprise and proceeds are used to fund YMCA St Paul’s Group community projects. By using our facilities you are helping us to help local vulnerable people. Click here to see our Easter opening time. Please download and read our terms & conditions.